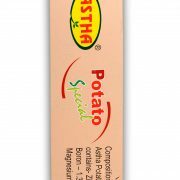 Astha Potato Special – Micro Nutrient for Potato - Lila Agrotech Astha Potato Special – Micro Nutrient for Potato – Lila Agrotech Pvt. 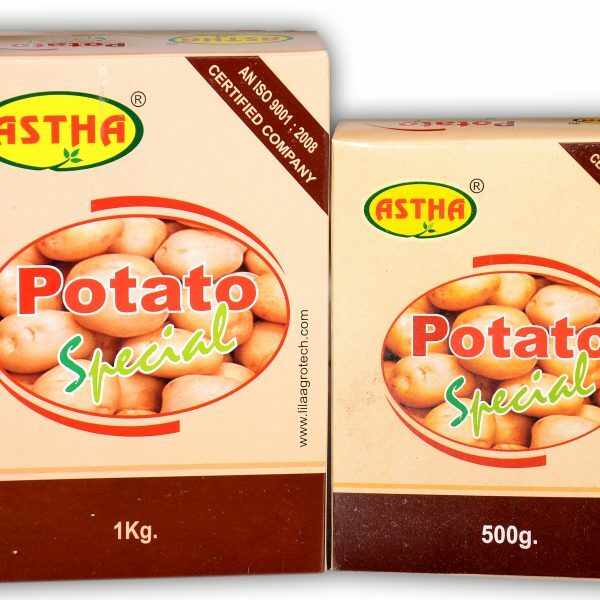 Ltd.
Astha Potato Special is a unique combination of selective nutrients which has the capacity to improve the overall growth and development of the potato plants. It contains Zinc, Boron, and Magnesium in specific proportion. Astha Potato Special is a unique combination of selective nutrients which has the capacity to improve the overall growth and development of the potato plants. 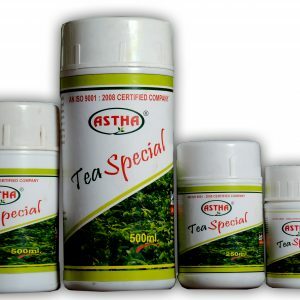 It contains Zinc, Boron, and Magnesium in specific proportion. It is generally observed that due to deficiency such nutrients the overall health and production capacity of the potato plants is hampered. Zinc deficiency in potato results in resetting or “little leaf” formation. Leaves become thick and brittle and mid rib becomes “S” shaped which gives a fern leaf appearance. Interveinal areas on older leaves gradually change from green to yellow. Leaflets are dwarfed and curl upward. With severe deficiency the entire leaflet may become yellow and dead tissue may develop around the margin and total foliage is greatly reduced. Absence of Boron leads to the drying of root tips and cracking of potato tubers. Magnesium deficiency is common in potato crops, especially those grown in acidic sandy soils. The classic yellow chlorosis of leaf margins is easily identified on the older leaves. Magnesium is essential for photosynthesis and plant growth and also increases the starch content and specific gravity of tubers. 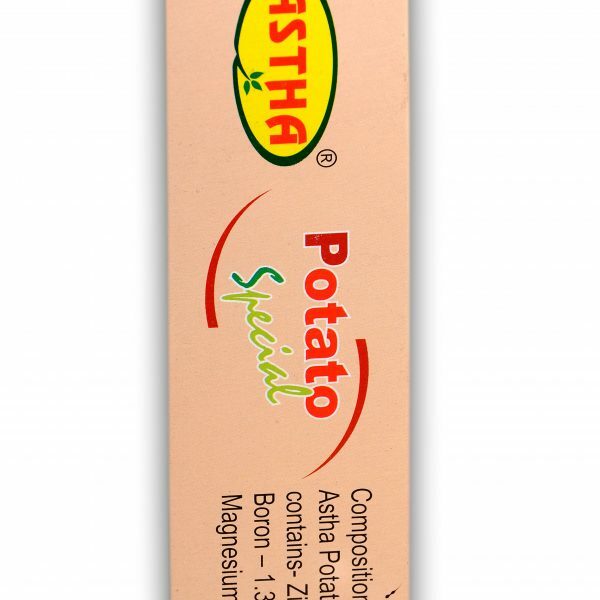 Astha Potato Special corrects such deficiency symptoms of the potato plants and improves the overall growth and development of the potato plant. It contain Zinc, Boron, and Magnesium in specific proportion. 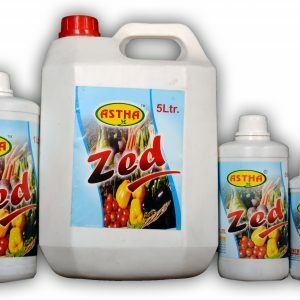 Dilute 3 gm to 5 gm of Astha Potato Special with 1 litre of water and spray thoroughly on the plant surface. No Specific antidote . Treat Symptomatically.